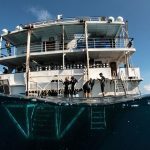 Why stay near the Great Barrier Reef when you can stay in luxury on the Great Barrier Reef Quite simply, there is no better way to experience the true majesty of Australia’s Great Barrier Reef than with a liveaboard tour. 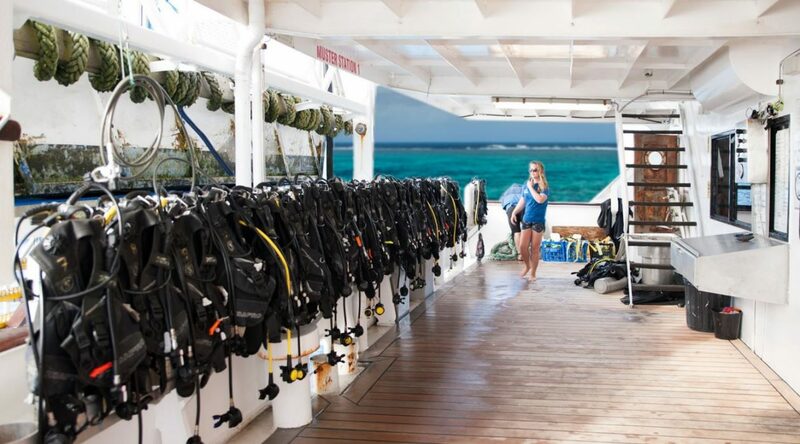 Whether snorkeling, scuba diving or simply sight seeing, live aboard trips take you to destinations that day tours just can’t reach. 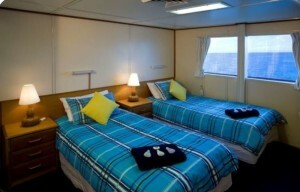 Great Barrier Reef Liveaboard tour options vary from one or two nights to a whole week. 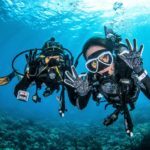 The benefits of sleeping on the Great Barrier Reef means that you experience the reef and it’s animals at different times of the day, with sunrise and sunset arguably having the most abundant marine life activity. 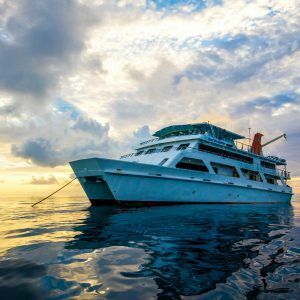 And with such a broad array of tours on the market – from luxury yachts to comfortable floating hotels, tours designed as a snorkelers paradise or a scuba divers dream holiday, there’s always a liveaboard tour to suit your budget and expectations. 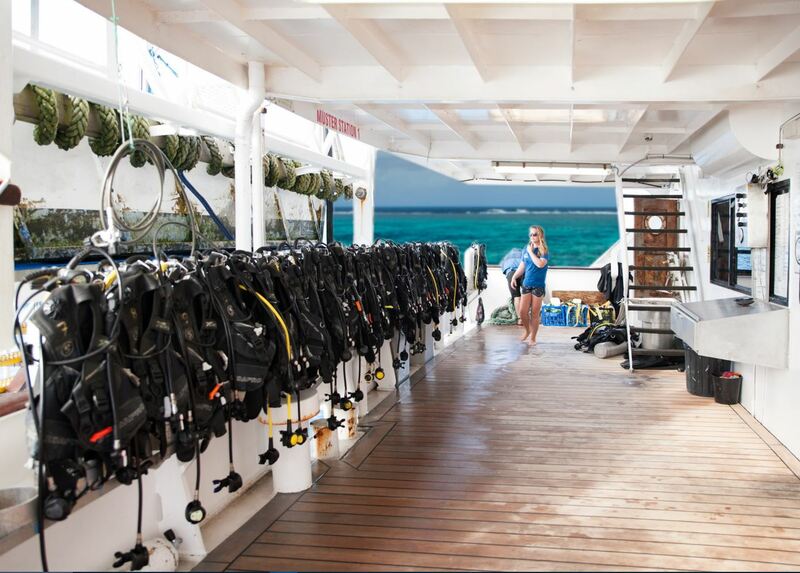 Waking up to a sunrise scuba dive or snorkel is an experience most people never forget. 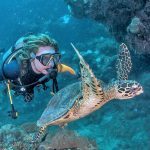 It’s the one time of day when the night creatures of the reef – the sharks, lobsters and stingrays – are still winding down from the activity of the night and the exotic, colourful day fish thrive in the bustle to wake up and find their morning feed. 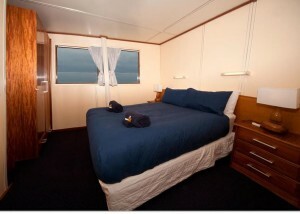 Reef Encounter is the pick of the liveaboards in Australia, built for comfort and stability at sea. 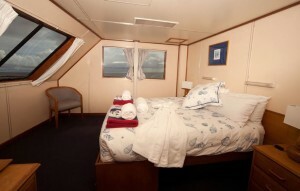 Our staterooms are 12.5 square metres – very comfortable ! 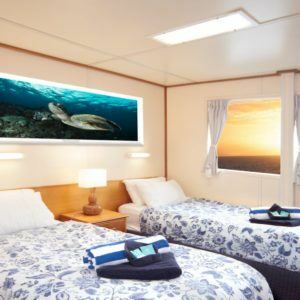 With large windows overlooking the Great Barrier Reef every stateroom has a private ensuite Reef Encounter is the only tourist vessel on the Great Barrier Reef with an onboard helipad – it really is a wonderful way to arrive. Top Deck Club the finest room onboard – we aim to spoil so in our Top Deck Club. 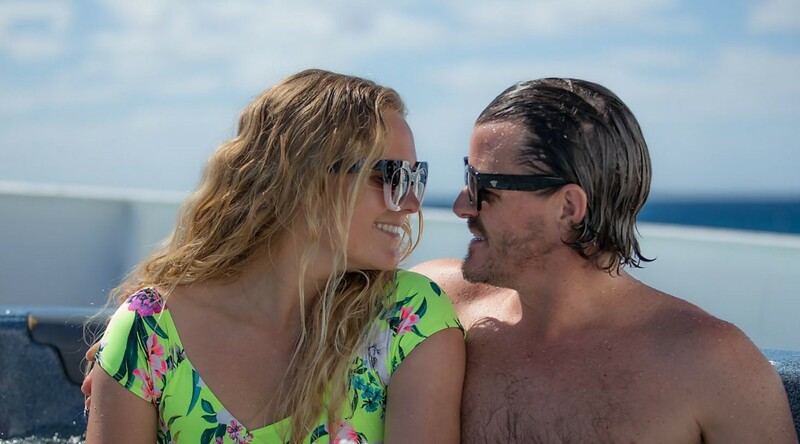 Whether you’re planning a romantic escape, honeymoon or anniversary Reef Encounter’s Top Deck Club offers an unhurried, relaxed ambiance and provides the ultimate indulgence package on the Great Barrier Reef. 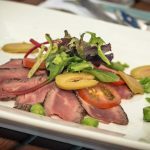 The Top Deck Club is designed to meet the expectations of the most discerning of guests, offering an unhurried, relaxed ambiance. 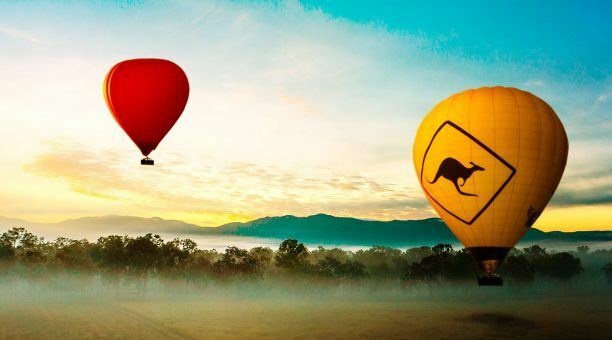 Upon arrival guests are greeted by the friendly crew and invited to share delicious local fruit platters and a glass of Australian champagne. 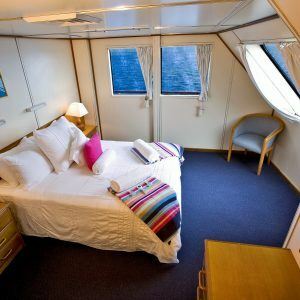 The modern staterooms have a private ensuite and are spacious and air-conditioned with ample space for clothes and luggage. The Top Deck Club staterooms also offer luxurious touches such as crisp Australian bed linen, silk doona, cotton sheets and feather down pillows adorn our oversize double beds. 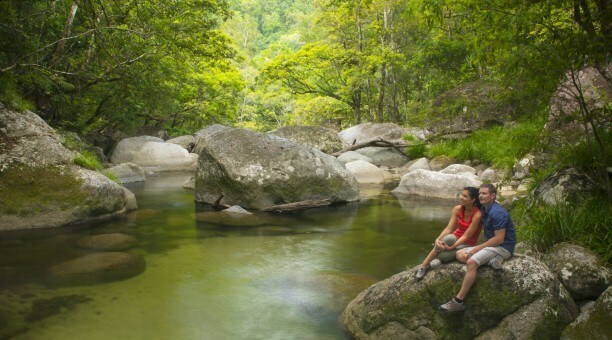 Soft fluffy robes, plush bath sheets and Australian beauty products are all replenished daily.